The Parliament of the World’s Religions in Toronto is one of the flagship events of this growing global stream comprised of peace, justice, inclusion and technological and ecological “tributaries.” Rooted in faith and spiritualty, the Parliament offers powerful networking opportunities for the many different religious and spiritual organizations addressing issues including ecology, indigenous concerns, women’s empowerment, conscious business and social justice. The vision of the Road to 2020 is a global series of increasingly public transformational events. Events to date have been held in New York City; Crestone, Colorado; Delhi, India; Jerusalem; in the Australian outback for the return of Mungo Man; and U Day Ethiopia at the African Union with the United Religions Initiative and other partners. Larger events are now being planned across India in 2019 and in Jerusalem for World Interfaith Harmony Week 2020. All these global events are building up to the climactic Caravan of Unity across the United States in September 2020. 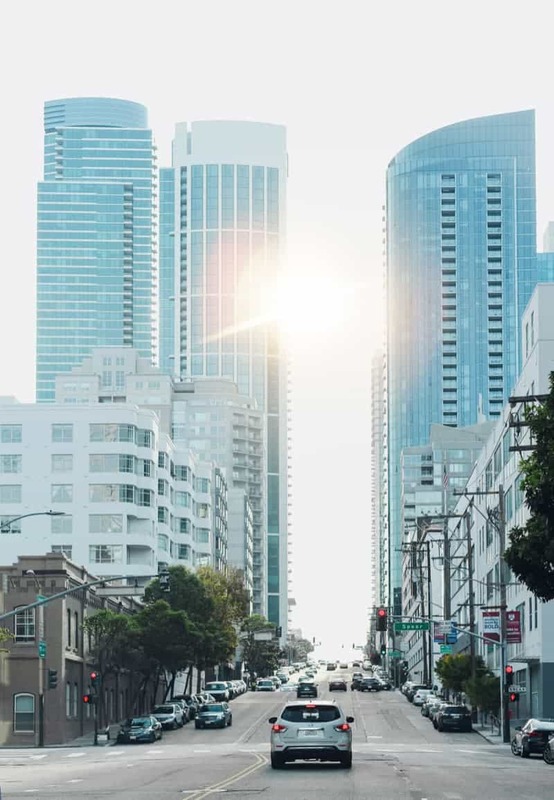 The Caravan of Unity will convoy across America in the fall of 2020, crossing the country from the West Coast to New York, shining the light of spirit and harmony at public events co-organized with local groups along the way. The Caravan will be comprised of various spiritual, traditional and religious leaders, musicians, artist, activists, visionaries and people from all walks of life who believe that peace is possible and that the time is now. The Caravan will fill the need of our time for an actual experience of spiritual unity to be realized “outside the walls” of the current peace and interfaith movements. We envision bringing leaders from all the various tributary movements together with representatives of the plurality of religious and spiritual perspectives, a broad group converging a wide spectrum of the wild, colorful and endearing human family. This Caravan is travelling together not just for peace and unity but as Peace and Unity, in a lived experience. The objective here is broad, positive public impact. To that end we intend to use the power of celebrity and the joy of music as strategic tools to attract mainstream news media and influence public opinion. We are planning 7 major musical transformative events to take place along the route. We will also select power places to come together in ceremony and ritual with strong indigenous participation for the healing of the Earth as well as the wounds of our history. This focus on healing and restoration will fuel us spiritually and inspire increased attention to our relationship to the land that nurtures us. In order to reach the largest national and international audiences possible, we will host virtual and live stream events throughout the Road to 2020 and Caravan of Unity, engaging our extensive networks of international organizations and contacts to spread the word to their worldwide constituencies through virtual and live-streamed events. One of our goals is to engage and empower the local service, interfaith, interspiritual, ecological, activist and cultural communities that are on the ground in the numerous cities we visit. This would lay a lasting foundation for each of the groups to promote their work and vision in synergy with the work and vision of all the other groups in the area—a further example of peace and unity lived together. The Caravan ends in New York with a major concert on September 21, the United Nations International Day of Peace. This culmination of our journey will be the manifestation of an expanded spiritual consciousness together with a great celebration of the human story and this moment, our moment in world history, when we come together in unity and peace. The time is ripe for a credible, highly visible expression of deep inclusiveness, unity and love. A raucously diverse range of folks, physically and metaphysically on the same bus and using the power of music, faith and celebrity to drive historic public engagement sends an unmissable message that humanity is ready to embrace the powerful truth of our collective and fundamental spiritual unity, upon which all diversity, both cultural and personal, is grounded. Preparations for the Caravan of Unity will begin at the Toronto Convergence, where UNITY EARTH will be seeking partners across the USA to host events, receive the riders, and help organize concerts and sacred site ceremonies. UNITY EARTH looks forward to seeing you in Toronto at the Parliament of the World’s Religions— and on the Road to 2020. UNITY EARTH has invited 80 leaders of diverse movements, organizations and faith traditions to spend the day on October 31st visioning together toward a future of unity and peace based on the spiritual principles driving the next level of human evolution. The core team of UNITY EARTH – Ben Bowler, Yanni Maniates, Kurt Johnson, Deborah Moldow, Jeff Vander Clute, Linda Bjork, Erik Rabasca, Shannon Winters, Kate Buck Jr., Karuna, and Derek Grimm – welcomes all the participants, each of whom has a critical role to play on the Road to 2020 and beyond. Everyone present will be encouraged to add their voice in this interactive event. The Toronto Convergence promises to be a seminal moment, a step forward into the new paradigm of distributed leadership in a weave of purposeful cooperation in service to humanity and our beloved planet. We are blessed to have Diane Kahontakwas Longboat, a Mohawk, Turtle Clan Leader, and accompanying singers to welcome us in prayer and song to place. The ceremonial opening of the Convergence meeting will also include Chief Phil Lane Jr and Audrey Kitagawa – the newly elected Chair of the Parliament of World’s Religions. During the day there will be musical performances including Grammy nominated Pato Banton, Antoinette Rootsdawtah Hall, Kristin Hoffmann, Erik Rabasca, and Lixin Chen accompanied by award winning composer Randolph Peters. 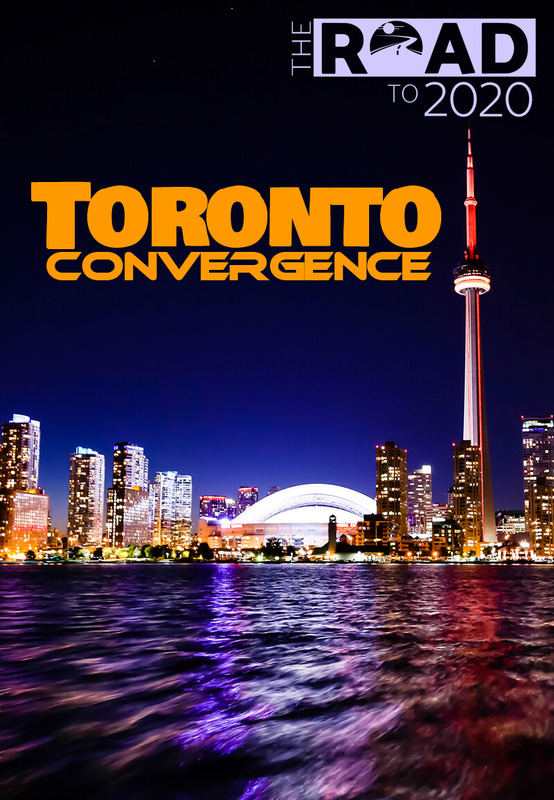 The Toronto Convergence will begin at 9:00am on October 31st with a ceremonial opening to bring everyone into a heart-centered space of coherence. Coffee and tea will be served. Opening remarks by Dr. Kurt Johnson will be followed by an introduction to the Vision for the Road to 2020 and Campaign for a New Earth by Ben Bowler, Executive Director of UNITY EARTH. Major thought leaders will offer brief spotlight presentations to weave a greater unity among activists working in the spiritual, ecological, and social spheres of transformation. All present will then share their vision for a New Earth, along with practical steps in the synergetic movement that can bring it into manifestation. Yanni Maniates will then offer a slide presentation on the Road to 2020 and the Caravan of Unity across the United States, before a break for a sumptuous catered vegetarian lunch. The Convergence will reconvene following an inspiring video specially provided to the Toronto Convergence by Ken Wilber and a musical offering by the divine songstress of love and unity, Kristin Hoffmann. Ben Bowler will wrap up the afternoon and present a very special UNITY EARTH Champions/Keepers of the Flame award. Grammy-nominated Reggae artist Pato Banton and Antoinette “Rootsdawtah” Hall will give a joyful performance. The closing blessings bringing the Toronto Convergence into completion will be offered by Lixin, “The Mystic Voice” from China, and by the renowned His Holiness Swami Chidanand Saraswatiji and Sadhvi Bhagawati Saraswatiji. The next step will be the opening of the 2018 Parliament of the World’s Religions on November 1st, setting all participants in unity on the Road to 2020! UNITY EARTH will offer a special edition of The Convergence ezine and series on VoiceAmerica internet radio, both dedicated to the Toronto Convergence. The Convergence Magazine, Volume 3, will feature serially and as a book over seventy of the most brilliant and provocative thought leaders and interfaith visionaries of our time, highlighting their views of what is emerging most powerfully in this critical moment. The series and book – Waking Up, Growing Up, Cleaning Up, Showing Up and Linking Up – will include, Ken Wilber, Deepak Chopra, Dena Merriam, Michael Bernard Beckwith, Jude Currivan, Llewellyn Vaughan-Lee, Jonathan Granoff, Brian McLaren, Monica Willard, Grove Harris, Duane Elgin, Stephen Dinan, David Sloan Wilson, Mussie Hailu, Victor H. Kazanjian, Terry Patten, Diane Berke, and Ashok Gangadean, to name only a few. Ken Wilber’s 30-minute video on “Waking Up and Growing Up” to help frame the conference, and a preview of the book with excerpts by twelve of the authors above will be distributed in advance. The volume also contains an unprecedented compendium drawn from organizations and NGO’s around of the world of their announced Universal Principles and Universal Action Steps. Please note that unless you are Canadian you will not have cell phone service in Canada and you will only have internet access through your hotel’s WiFi. Below are directions from the Toronto Convention Centre to the St. James Cathedral Centre. If you are not coming to the St James Cathedral Centre from the Convention Centre, please do a Google Maps search while at your hotel where you will have WiFi and can, therefore, access the internet. Go to https://www.google.com/maps/ and type in your starting and destination addresses and then you can choose the walking, driving or public transportation options. Thank You and Welcome! Please check your email for further instructions. Join the Unity Earth Community Today!